Two males were arrested on suspicion of numerous offences after early-morning incidents in the Carnmoney Road area yesterday. 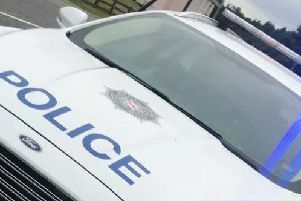 A PSNI spokesperson said: “At around 3.30am we received a report of two males trying to break into cars on the Carnmoney Road. “Both males were quickly detained by LPT officers in Liscoole Park and have been arrested on suspicion of numerous offences. “I would like to thank the resident who called this in. I cannot emphasise how vital it is to get these reports as soon as we did. Anyone with information about the incident is asked to call police on 101, quoting reference number 225 of 30/3/19.